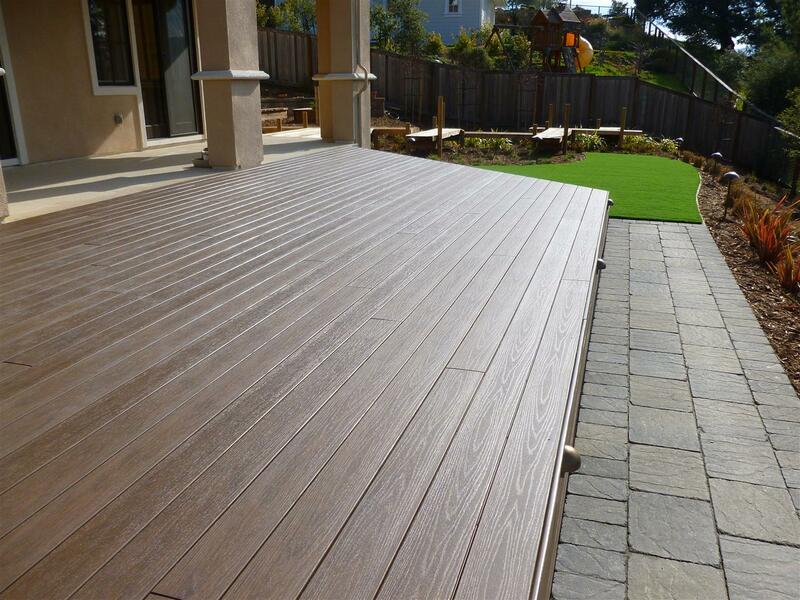 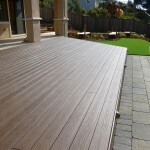 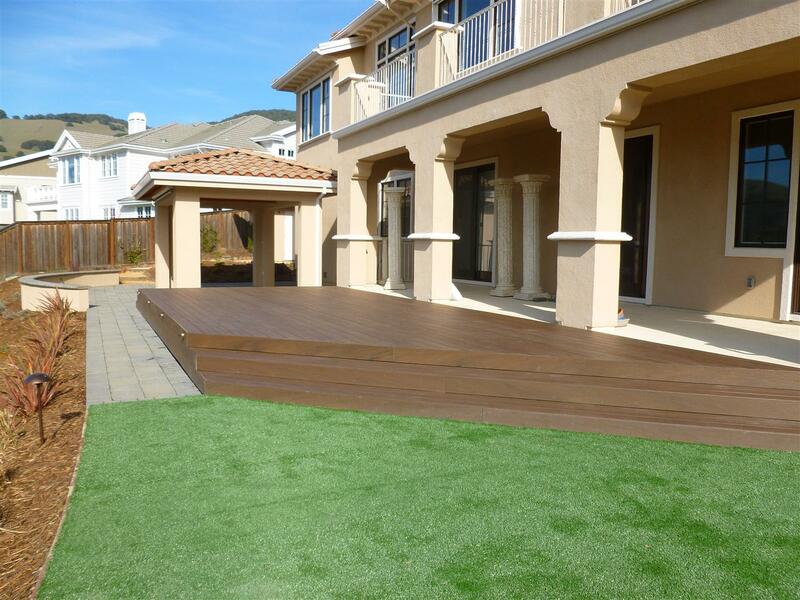 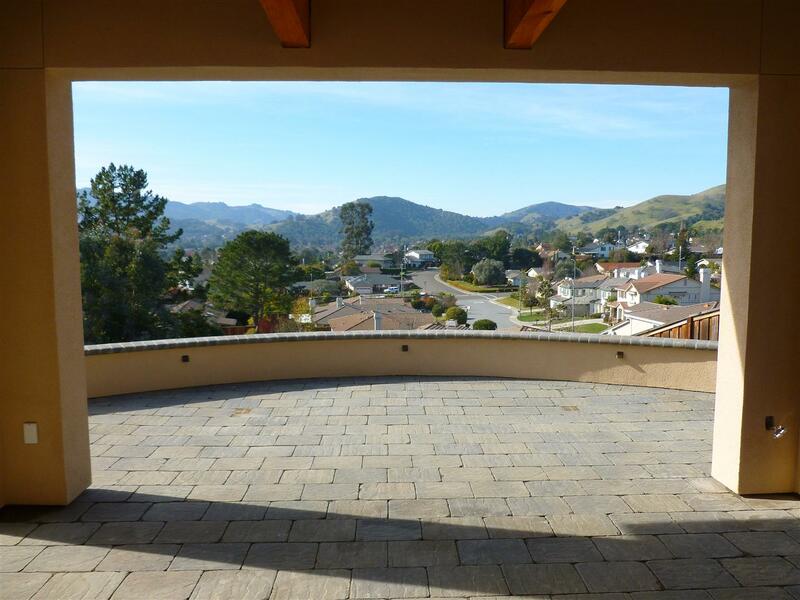 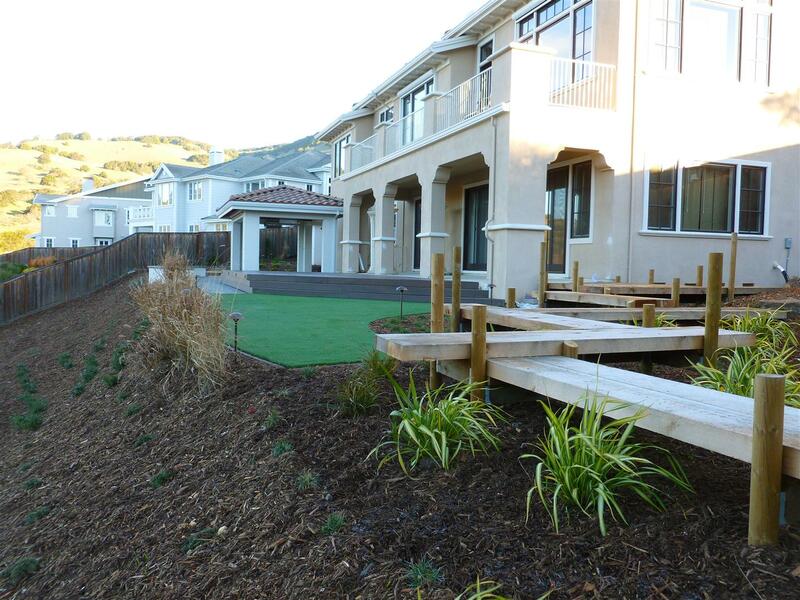 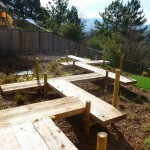 This new home in Novato combined several elements into a complete back yard installation. 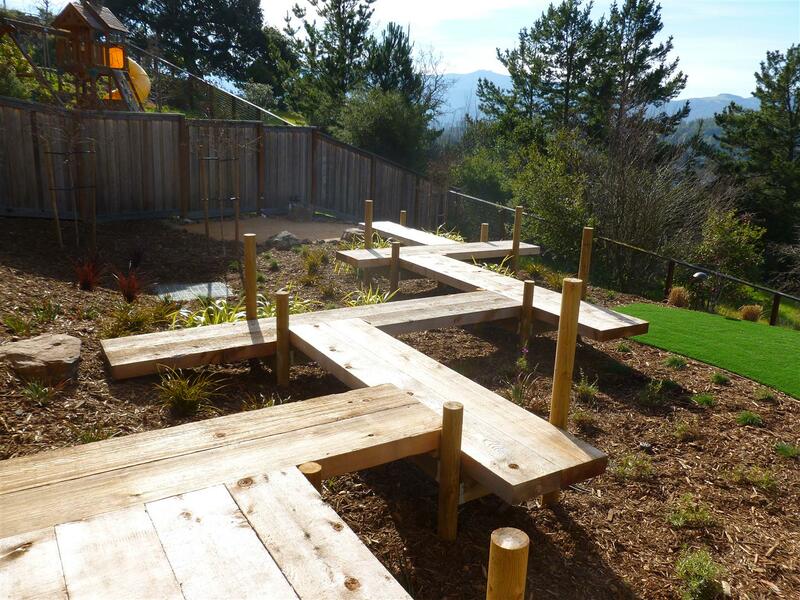 Situated with great views of the sweeping San Marin hills, the design for the project incorporated distinct areas- main new deck, new patio with pergola, access pathways up and down hillsides, and a vegetable garden and Japanese inspired zig-zag boardwalk. 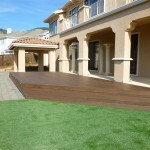 O’Connell Landscape has an excellent team of designers, plant specialists, and experienced employees. 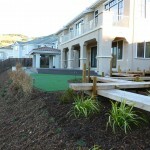 They communicate well and completed our landscape efficiently and in a very reasonable time. 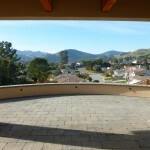 Our backyard is really beautiful and we are enjoying it already.